Priced to sell! Amazing opportunity to own a large waterfront home w/ a dock in the highly sought after Seaside Estates neighborhood on James Island. The interior features beautiful hardwood floors throughout, dual master bedrooms on separate levels, an elevator going to all floors, a dumb waiter/hoist, and a spacious living room. 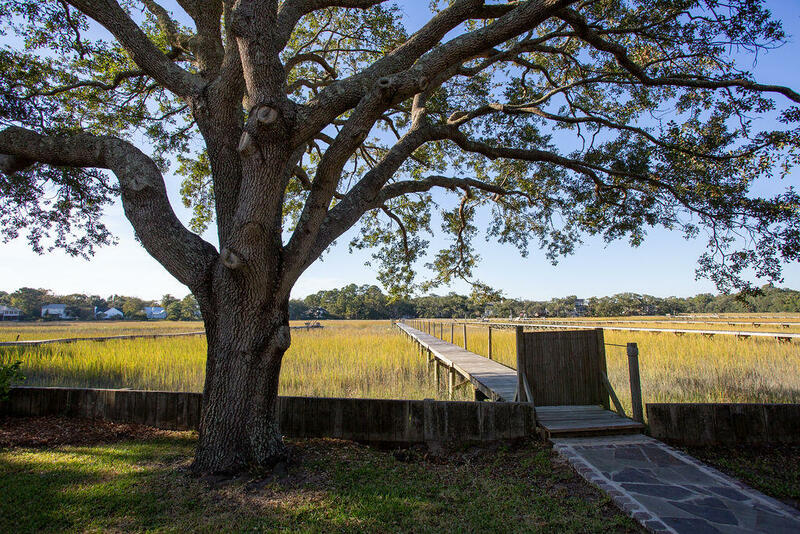 There's a large screened in porch off of the living room and master bedroom that has an expansive view of the live oak tree in the backyard and the tidal creek. The top floor has three additional bedrooms and two full bathrooms along with a wet bar and spacious deck for maximum sun and water views. The home boasts a cedar lined closet, custom brick and iron fencing, and a hand-painted mural of the Morris Island Lighthouse leading upstairs. Click MORE You could easily accommodate five cars and/or a boat in the three bay garage. Close to MUSC, Folly Beach, and downtown Charleston. You'll also have access to a communal boat ramp in the neighborhood. This is a must see!